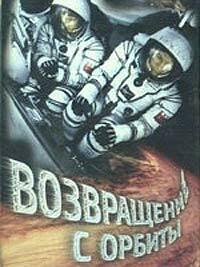 Vozvrashcheniye s Orbity (1984) - Sci-fi-central.com. Soviet Union  1984  89m   Directed by: Aleksandr Surin.  Starring: Juozas Budraitis, Vitali Solomin, Aleksandr Porokhovshchikov, Tamara Akulova, Igor Vasilev, Valeri Yurchenko, Mikhail Chigaryov, Lyubov Sokolova.  Music by: Eduard Artemev. 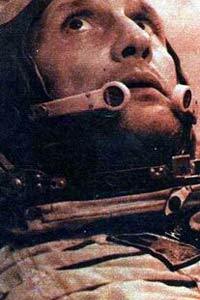 Kuznetsov returns from a space to learn that his wife has died. He retires from the program but when a serious problem occurs on the space station, he is forced back to help his best friend who is caught up there. Well,this film looks more like very deep and dramatic space drama. As soon as two friends-cosmonauts came back from space, a lot of things changed on the Earth. The wife of one of them died. And Kuznetsov can not go on flying to space. So he returns to navy aviation. Very soon a serious trouble happens to spacecraft and Kuznetsov flies to space to help his best friend, who was trapped in the closed sector of the craft. As soon as he managed to do that- new troubles start -the meteorite wind hits the craft and they have no ability to go back. They have only 12 hours. Then their teacher decides to help his students and saves their lives in space. Very serious and unusual look at the space explorations and true to life situations, not that sci fi. Far more like space necro realism . The score by master of Russian electronic music Edward Artemeyev is perfect, especially in the end of the film it becomes really symphonic dark space ambient. Very rare to find exclusive flick. Review by andreygrachev [IMDB 3 February 2009] from the Internet Movie Database.